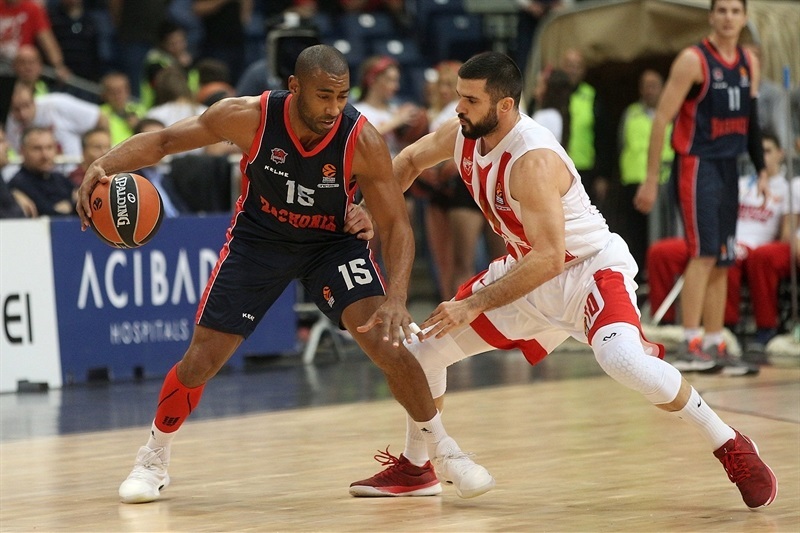 Baskonia Vitoria Gasteiz continued its winning run, with its third straight win, this time by holding off Crvena Zvezda mts Belgrade 81-85 on Thursday night in the Serbian capital. 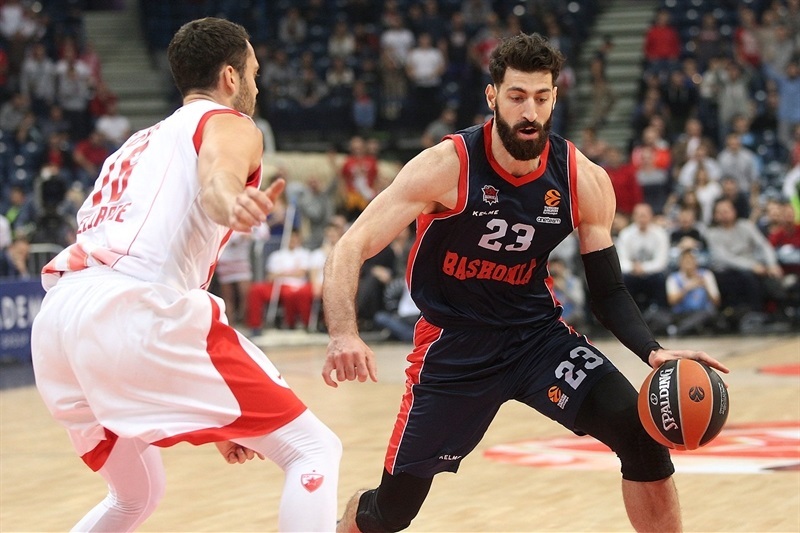 It was the second consecutive road win for Baskonia, which improved to 4-6, while Zvezda lost its fifth straight and dropped to 2-7. 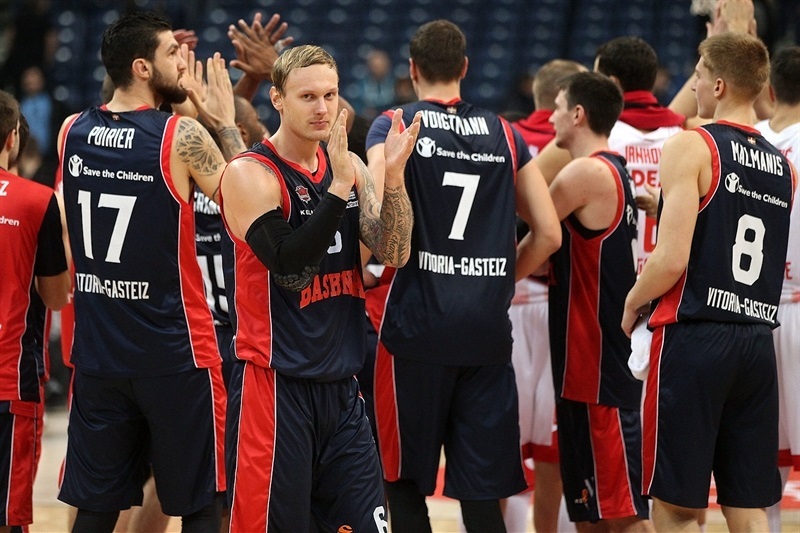 Johannes Voigtmann paced Baskonia with 17 points, 8 rebounds and 5 assists, while Tornike Shengelia, who hit a long jumper with 17 seconds left to seal the win, scored 12 of his 16 points in the first half. Janis Timma set his career-high with 15 points, Matt Janning netted 13, and Rodrigue Beaubois had 10 in victory. 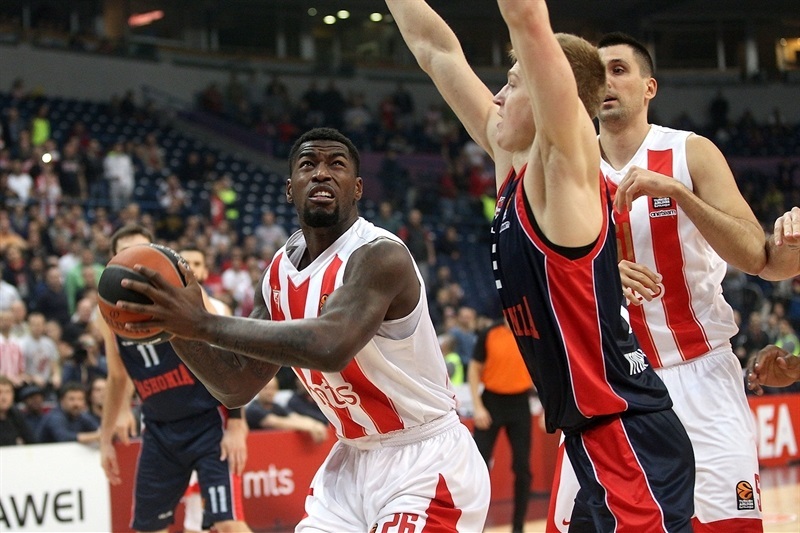 Mathias Lessort scored 19 points, and Ognjen Dobirc scored 17, both career-highs, for Zvezda. James Feldein had 10 points in defeat. The teams traded baskets early on. 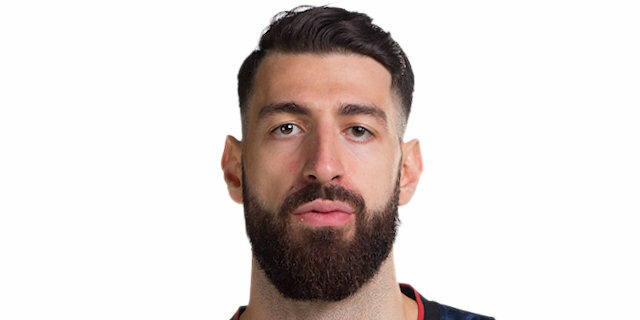 Milko Bjelica’s three-point play opened 9-7 lead for the hosts, but Shengelia fueled the visitors’ run with a three-point play and a runner. 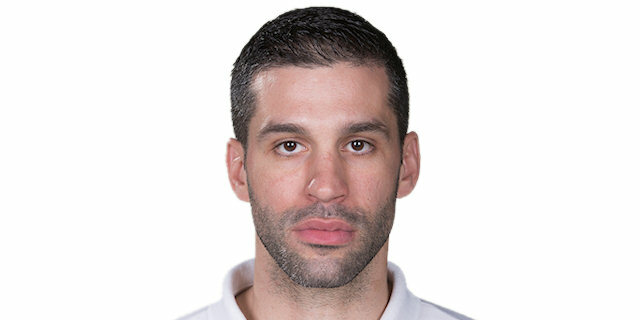 A triple from Marcelinho Huertas made it 12-20, but Taylor Rochestie with a driving layup and Dobric with a three-point play cut the deficit to 17-22 and Zvezda came even closer in the second as Feldeine had a three-pointer and Dobric hit a pair of baskets, before a three-point play by Stefan Jankovic made it 32-34. 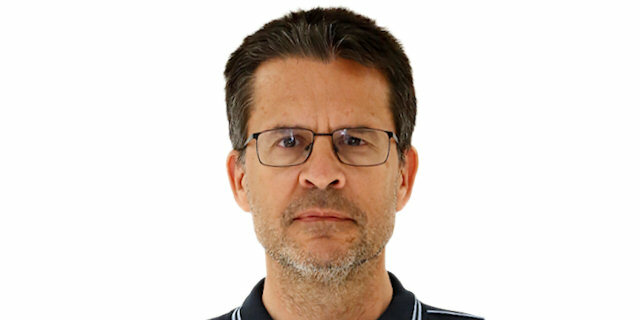 But Baskonia answered with a 0-12 run, during which Janning hit a pair of three-pointers that opened 32-46 margin before Rochestie and Lessort cut it to 38-47 at halftime. 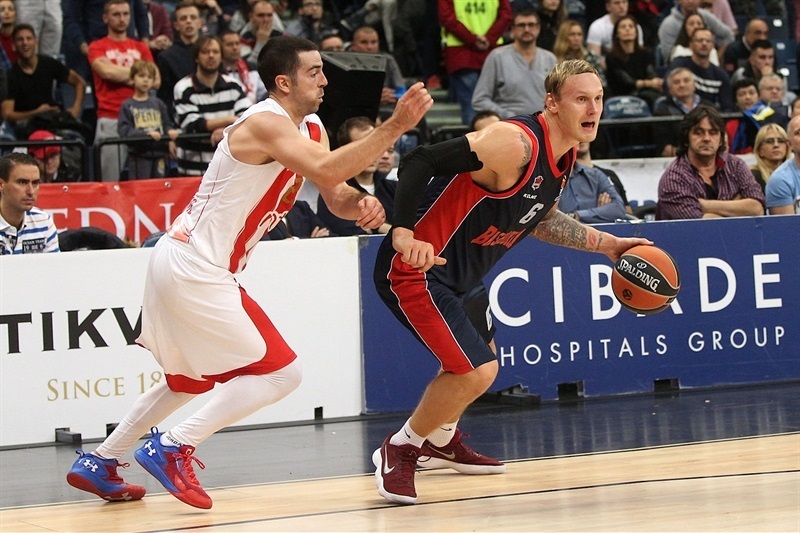 The hosts made another charge, with baskets from Dobric, and a triple from Jankovic that cut it to 48-52. But Janning drove for a baseline reverse layup, Voigtmann added a basket inside and Rinalds Malmanis and Beaubois hit from the outside to open a 54-64 margin. A three-point play from Lessort made it a 7-point affair going into the fourth quarter, and Feldeine hit from long range to make it 60-66 early in the fourth. After Beaubois and Dejan Davidovac traded triples, Jayson Granger and Voigtmann extended the Baskonia lead to 65-73. But Lessort strung together 8 points, including a pair of three-point plays to tie the game, before Davidovac made foul shots to put the hosts in front 75-73. 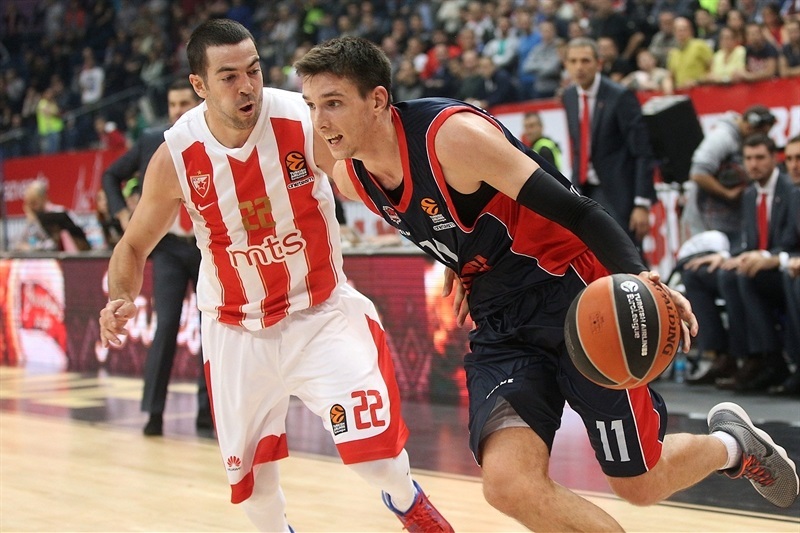 However, Janning and Timma each hit a three-pointer to give Baskonia a 78-81 edge. Voigtmann kept the visitors in front, and after Bjelica scored to cut the difference to 81-83, Shengelia hit a long-jumper to beat the shot-clock with 17 seconds to go, securing victory. "We played much better in the second half, but it was not enough to win this game. They have smart players with great experience, so they know how to punish every little mistake. This game was better than what we played recently in the EuroLeague. We are a young team that is growing, but need to learn to eliminate mistakes that keep repeating. Especially against the pick-and-roll. Our young players stepped up with their roles, which is a positive thing, especially with Pero Antic out because of family reasons. Dejan Davidovac showcased tonight that he can play at this level. He made the difference for us with his energy, had 7 points in 10 minutes, but he spent all he had and that’s why he was not on the court in the final minutes." "A win on the road is always important. We played very good for the first 25 minutes, especially on offense, and our defense was consistent. But in the second half we lost our rhythm. We had a lot of turnovers, 10 turnovers in the second half is too much. 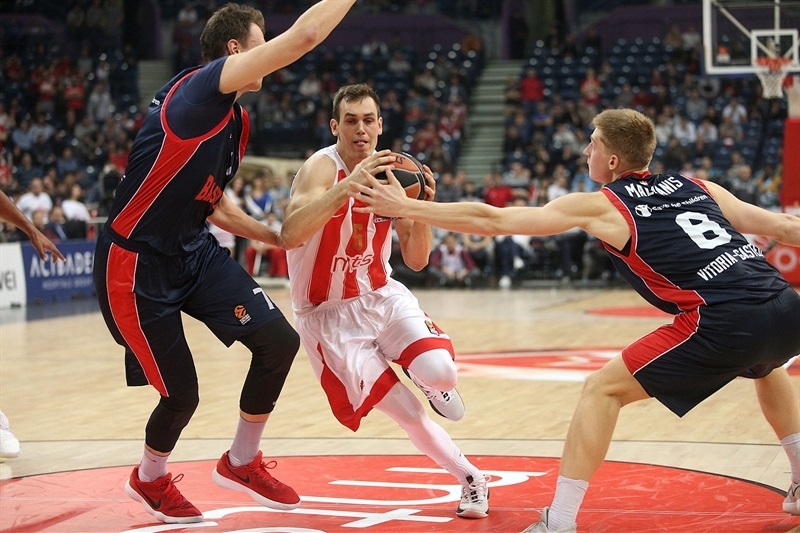 Zvezda’s defense was very good in the second half; we did not run and played too much five on five. It was a new game. But we showed character to hit important long shots, especially Matt Janning, and also Shengelia, and won an important game for us. When teams win, the mentality changes. We lost my first game, but then won two games in a row by 1 point, against Panathinaikos in EuroLeague, and against Unicaja on the road. Those wins changed the team’s mentality, gave it more confidence. Those two wins changed the mentality of the team." "It was a very tough game. We knew they would come back at some point and make us play even harder, which they did. But thankfully, we got the win. Even though we had a lot of mistakes I think we played good defense. I think we have to do a better job on the rebounds, but hopefully we will take care of it in the next game. But I am happy we won the game."